When you first hear the term “Wearable Technology” what do you imagine it to be? Probably a smart watch. But wearable technology is not limited to smart watches. There’s a lot more to wearable technology. One such technology is Virtual Reality. Virtual Reality is a technology that uses headsets to make realistic images, sounds and many other sensations that stimulate a user’s physical presence in virtual or imaginary environments, occasionally supported by physical spaces and multi-projected environments. People using Virtual Reality equipment are able to look around in the artificial world created by the device. High-quality Virtual Reality gears allow users to move in it and even interact with virtual features and items. Virtual Reality programs may also include sounds through headphones or speakers. Some Virtual Reality systems, called Haptic Systems, use transmission of vibrations and multiple other sensations to its users through a game controller and some other devices. This tactual information is generally called force feedback in video gaming, medical and military training applications. 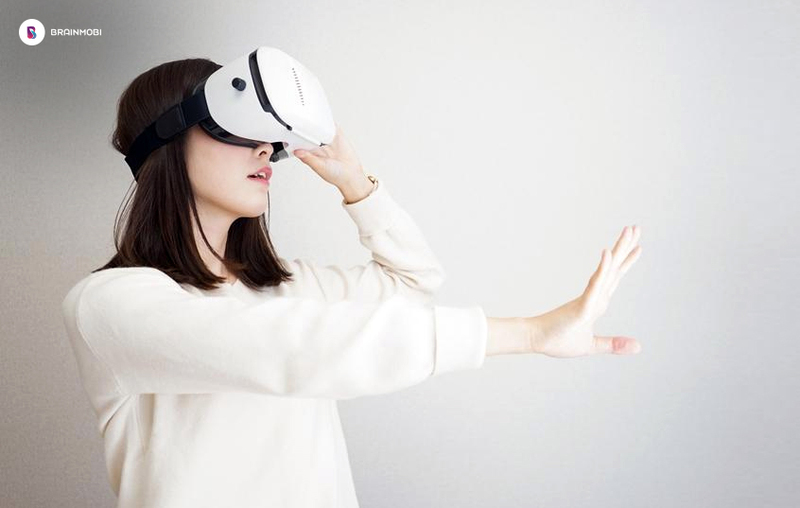 Virtual reality also pertains to highly remote communication environments that provide virtual presence of users with the help of telepresence and telexistence or by using virtual artifacts(VAs). This immersive environment can be a lot like the real world to create a very lifelike experience based on reality or science fiction. A form of Virtual Reality Systems is Augmented Reality Systems. They layer virtual information over live camera feed sending it to a headset, or through smartphones or tablets. Recently, Augmented Reality has gained more popularity in the market. With HTC leading the corporate investments in the Augmented Reality and Virtual Reality industry, there has been a lot of investment in the Augmented Reality and Virtual Reality industry. There’s a lot more to Virtual Reality than just games. While SteamVR gives you access to your favorite Virtual Reality games, with a lot of those games still in Steam Greenlight, there is more than just gaming to Virtual Reality Technology. With powerful applications designed for your Virtual Reality device, you could experience 3D movies, or your favorite movies, or to a performance in Cirque du Soleil. Even the tourism industry has found ways to go with the flow and blend its services with Virtual Reality. Users can now tour Hawaii without spending a fortune on the tickets. Another industry which found a use for Virtual Reality Technology in an innovative way is the healthcare industry. Would-be surgeons are now trained at some institutions through Virtual Reality simulations to help them find the most efficient and safest way for locating tumors or to place surgical incisions or even to practice some difficult procedures before they have to perform those procedures in real life. And it is not limited to just new surgeons. Even experienced surgeons use Virtual Reality to gain more confidence in their skills. Shopping, military, education, courtrooms, museums, automotive manufacturing, space, everything! Think of a field and Virtual Reality Technology would find its way into it. And so would we here at BrainMobi. We are one of the best Virtual Reality and Augmented Reality application development companies. We bring innovation in every app that we develop, making every single app unique. Did this intrigue you? Let us know in the comments section below!